PVC Earring Stoppers. (Also known as a clutch.) 3.5x3mm. Bulk Pack. 4 grams, approximately 100 pc. 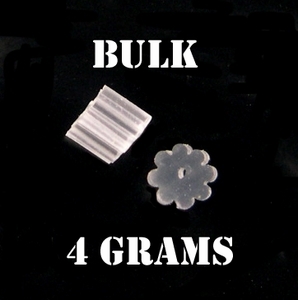 This bulk pack is sold by the weight vs by the piece. If you want quantities in excess of 100, please contact us before you place your order.